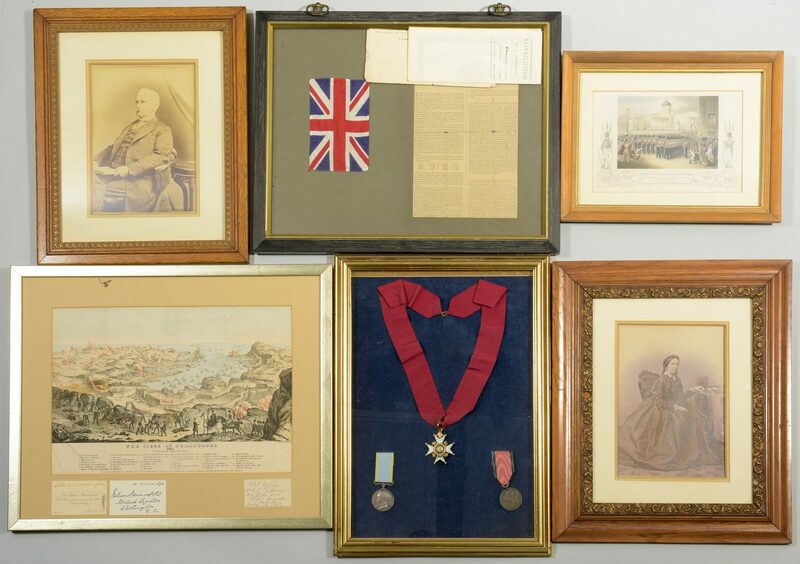 Archive and medals related to the Crimean War service of General J. Scott Robertson of England. 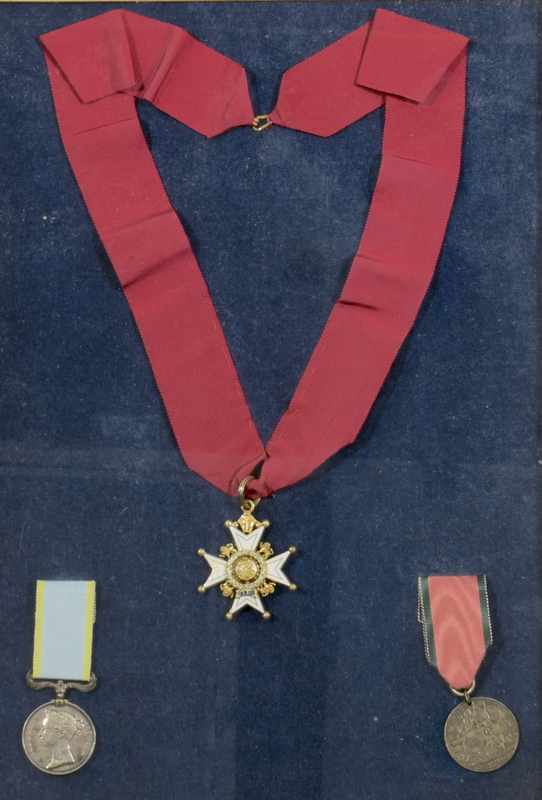 1st item: Shadowbox frame containing 3 military decoration medals awarded by Queen Victoria to Gen. Robertson: The English Order of the Bath – a gold (tested 18K, but not hallmarked, weighing approximately 72 grams) and enamel cross with lions surrounding a center decorated with three crowns, a thistle and rose within a wreath, inscribed "Tria Juncta In Uno" and "Ich Dien," 1 3/4" x 2 1/8"; an 1854 Regina Victoria Medal, engraved "R. Ferguson Boy 1C", and a 1854 La Crimea medal, each approx. 1 1/4" diameter. 2nd item: Framed lithograph, DEPARTURE OF THE GRENADIER GUARDS FROM TRAFALGAR SQUARE, FEB. 22, 1854, ON THEIR ROUTE TO THE EAST by J. Kunzley and D.J. Pound, 11" x 14" framed. 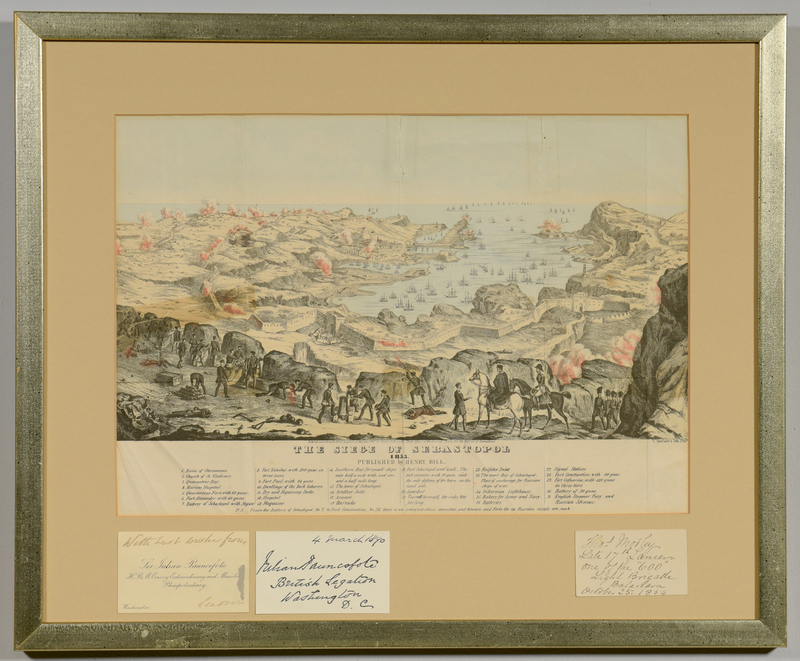 3rd item: Framed lithograph, THE SIEGE OF SEBASTOPOL, 1855, published by Harry Bill, with card and handwritten labels affixed to mat. Card reads "With Best Wishes from Sir Julian Pauncefote, H.B.M. 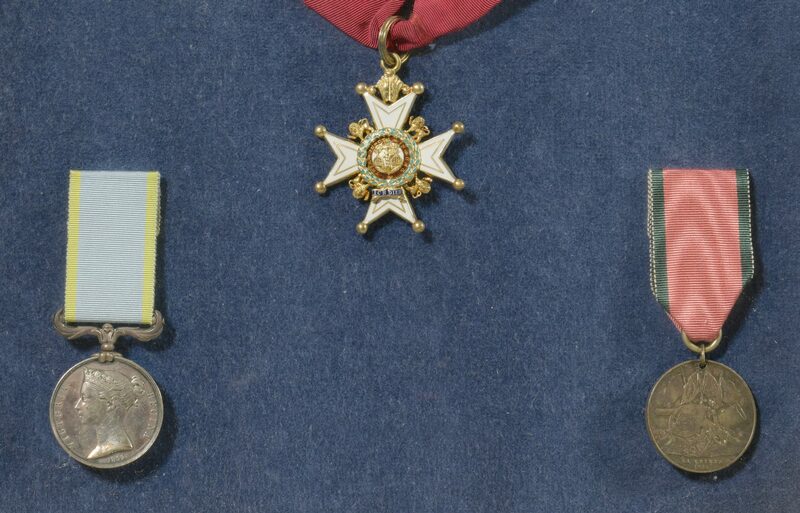 Envoy Extraordinary and Minister Plenipotentiary", while handwritten labels read "Julian Paunceofote British Legation Washington DC' and "Thos. 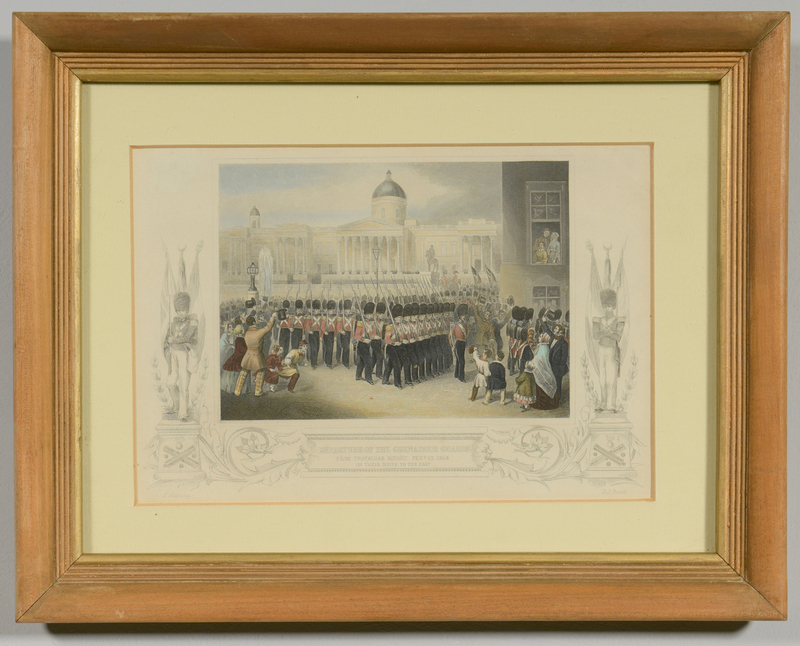 Mosley Late 17th Lancers one of the "600" Light Brigade Battalion Oct. 25, 1854." 17" x 20 1/2" framed. 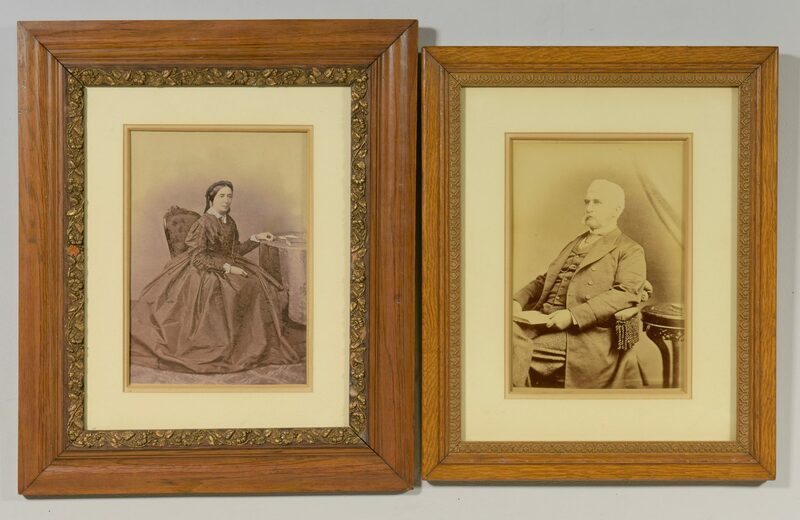 4th and 5th items: two 10" x 7" sepia toned prints of General J. Scott Robertson and his wife, Emily Hutton Robertson, who "accompanied Florence Nightingale to nurse the wounded during the Crimean war", 17" x 13" and 18" x 15" framed. 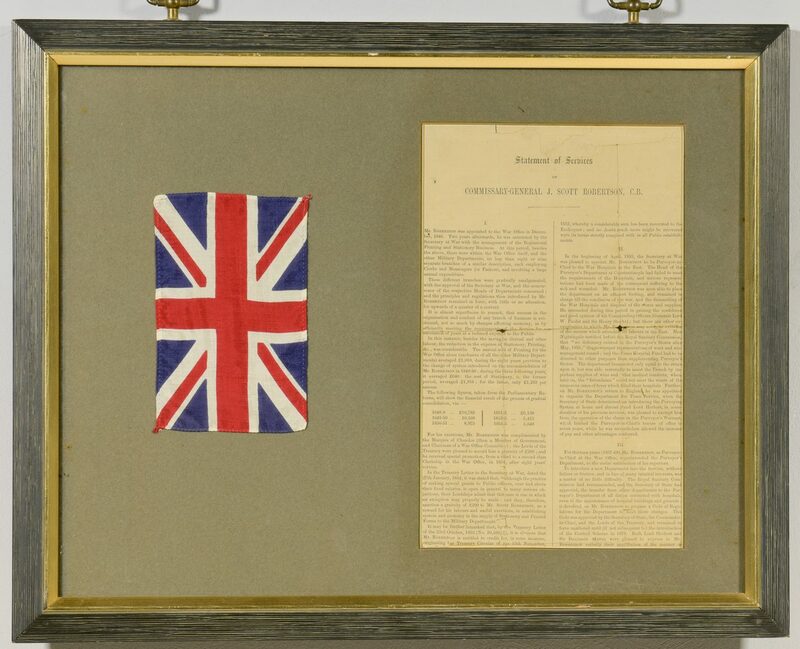 6th item: Framed Statement of Services of Commissary-General J. Scott Robertson, along with framed 3 3/4" x 6" British flag. 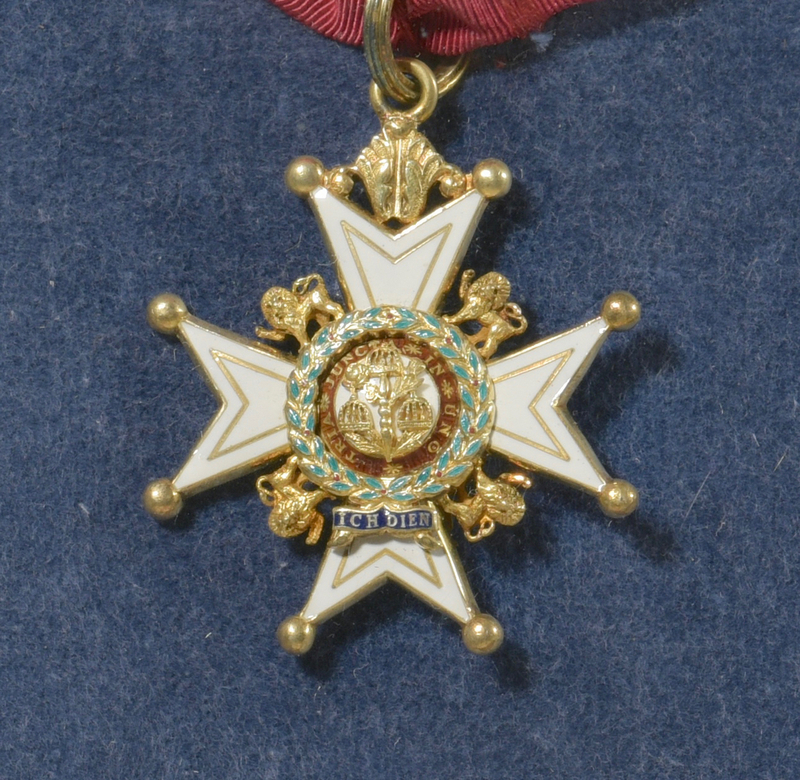 Glass on both sides of frame and informational packet attached on back. 16" x 20" overall. 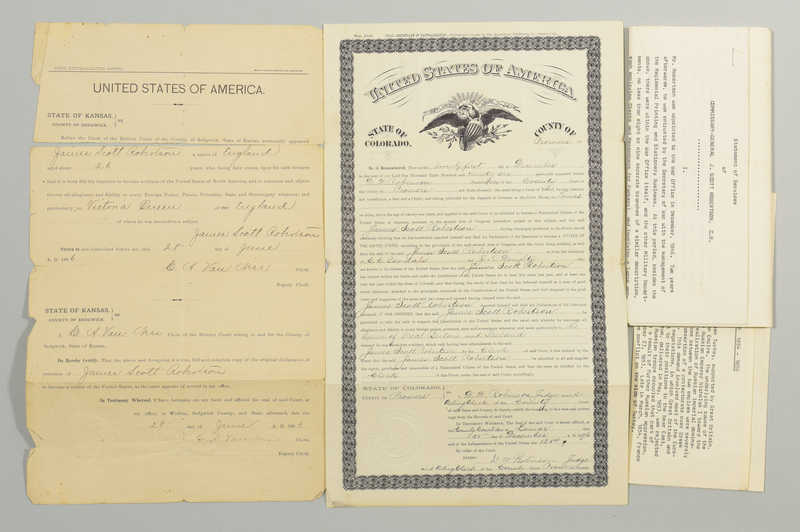 7th item: American citizenship papers dated 1886 and 1896 for James Scott Robertson, renouncing his English citizenship for American citizenship. 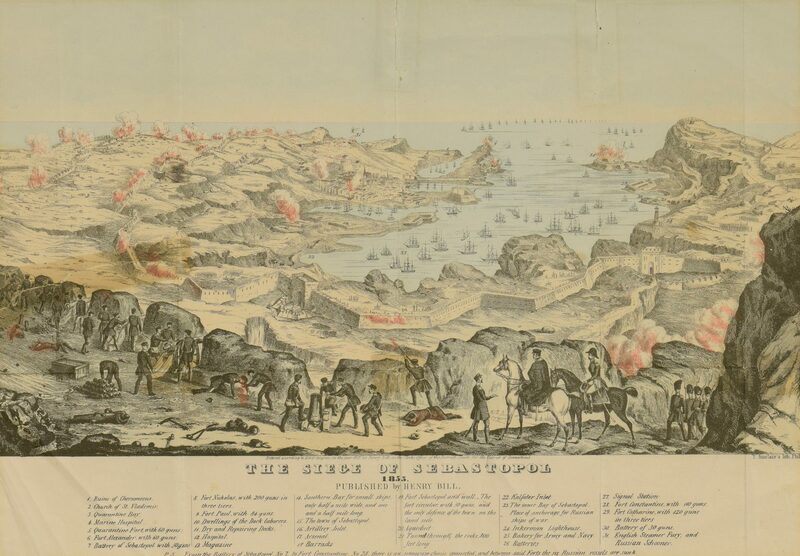 Note: General Robertson was Purveyor in Chief of the Crimean War. It is unclear if the Naturalization papers belonged to him or perhaps a son of the same name. Provenance: the estate of Sarah Hunter Hicks Green, formerly of Historic Devon Farm, Nashville, Tennessee. CONDITION: Victoria Regina and La Crimea medals show oxidation; Order of the Bath in excellent condition. Glass broken on Siege of Sebastopol print, light toning and creasing to print, tears at top appear to have been repaired. Some folds at tear lines to naturalization papers.